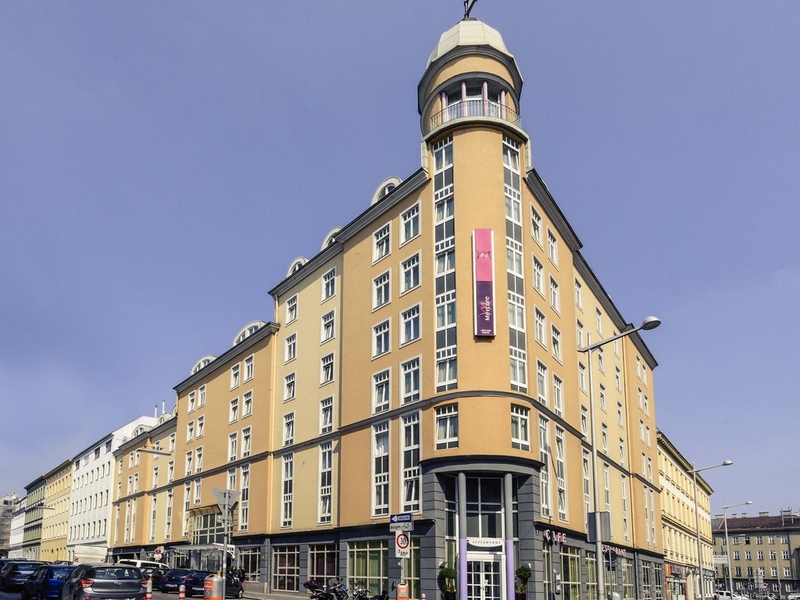 The Hotel Vienna Mercure Westbahnhof is situated next to the train station City West, in an impressive location near Mariahilfer Strasse with a fantastic range of shops to choose from. It is also close to Wiener Stadthalle, a venue for international artists, just around the corner from Vienna's top musical stage - Raimund Theater. The Naschmarkt, Schönbrunn Palace, Art History Museum, the new Stadtsaal Theater and Vienna's historical old town are easy to visit by metro and tram. The M fifteen bar is an ideal after-work meeting point where you can round off a successful day by sampling one of our "Grands Vins Mercure" or a refreshing cocktail. All ok but not very soundproof on ringstreet side. Nice to be back and get my favorite room! A great place in this wonderful city. Good standard of rooms and food. Although it must be said that the hot offering at Breakfast is cool at best and cold in reality. Something needs to be done to either keep the offering warmer or provide some tools like a microwave over to re-heat the great food that the team have taken time to prepare. A good start would be hot plates to put the food on. Otherwise a great place in this fantastic city. Enjoyed our stay. Nice hotel. Served great breakfast. Very friendly & helpful. Room small but adequate as we spent very little time in it. Water very expensive in bar. Good location near bus & tube stations. Have stayed in the hotel before and it always works. Easy to check in and check out. Front desk and housekeeping staff were responsive. Food and beverage selection at the morning buffet was adequate and satisfying. The room was clean, but old. I missed the slippers. Hotel personnel was very nice and proffessional. Breakfast was good, also good espresso machine available and healthy options were there. In general, I would love to see more healthy options for the breakfast, e.g. uncut, whole fresh fruits, nuts and seeds. The parking garage had a very very narrow entry. It was a lot of stress to enter the garage and make sure the car wouldn't get a scratch. The exit of the garage was wider, so no problem there. Hotel situated at excellent spot, very easy to get into downtown by metro or tram. Front desk staff very helpfull and nice. Room (424) and roomfloor very outdated, in dire need of a renovation! No WiFi connection in my room, bathroom very very outdated, could not stand up straight under the shower (1.86), hot water varying in temperature all the time. Room was very hot, unable to switch on airco because it is shut off (?!) and heating is turned on (4* hotel remember?) Unable to control temperature directly at heater, so had to open window and 'enjoy' the street sounds all night. Breakfast ok, but again not 4* worthy. Off all the (Accor group) hotels I've stayed in, the was by far the least hotel. A 2/3 star rating would be much more suitable for this hotel. Very good place - near West Railway Station, shop-street MariaHilferStrasse, Undeground. Good breakfasts. Friendly staff. I stayed at this hotel nearly everytime I am in Vienna and it is always pleasant. This time I was pleasantly surprised to be welcomed by &quot;Marion&quot; when I walked into the breakfast room. It really felt welcoming to be greeted (by name) even though I did not stay in the hotel for a long time. She really impressed me! The hotel location is just 2 minutes walk from the Vienna Westbahnhof railway station with U-Bahn, tram and airport bus connections. The staff are extremely helpful and make you feel welcome. The Internet connection was good and easy to use. The room was clean and the bed comfortable. The reciption is extremely helpful, resturant is amazing ... people are insanely friendly and lovely ... room service is at most times fast and lovely, thank you for the wonderful experience specially the reciption. My wife and I were very pleased with the hotel. I had booked it online and looked at other reviews, it has a very friendly atmosphere and all the staff were very helpful and pleasant. The hotel was kept very clean and reception and bar area were quite modern. The breakfast was lovely and had a good selection of hot and cold food and as expected was continental orientated. The only comment, not even a criticism, was that the rooms were slightly old fashioned, but we found that it added to the charm of the hotel and all helped to make our first stay in Vienna one to remember and one that we really enjoyed. We booked a superior room. We were allocated room 414 on arrival. All I can say is that we were very, very disappointed with the standard of it. I even went down to reception to check that room 414 is a 'superior' room. The beds sagged in the middle, the woodwork was scuffed, the tiles in the bathroom were cracked, the towels had holes in them. First time in a Mercure hotel, and our last. A friendly welcome and I was expected. Nice breakfast (except for scrambled eggs). Clean.